Needless to introduce Bruges, one of the most visited cities in Europe. This guide, which is the most complete of the city, brings us by foot or by bike, with the passing of canals and medieval alleys, to the discovery of the high places of the “Venice of North”. 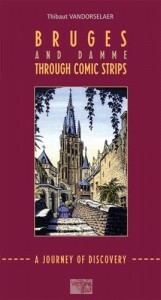 Like in Brussels through comic strip, at each street corner, the drawing’s angle corresponds to our point of view.